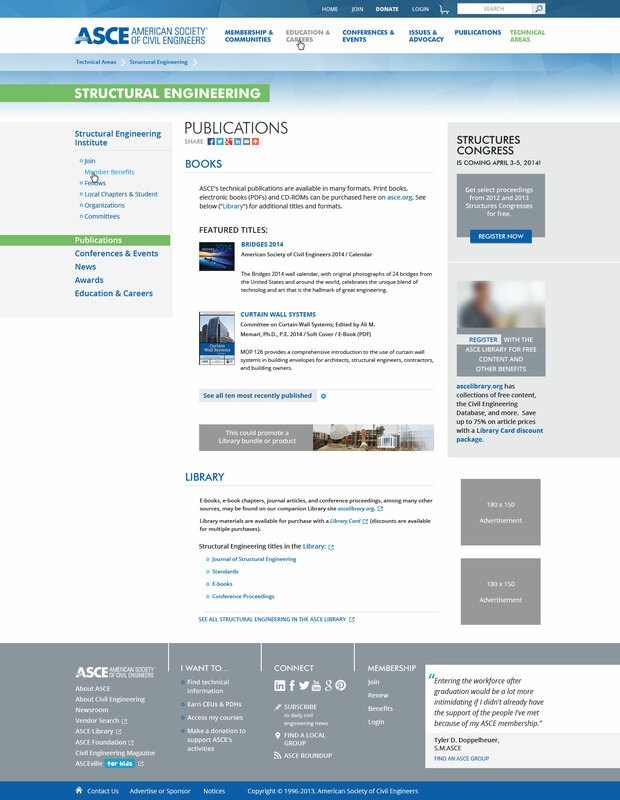 Visual design for asce.org. 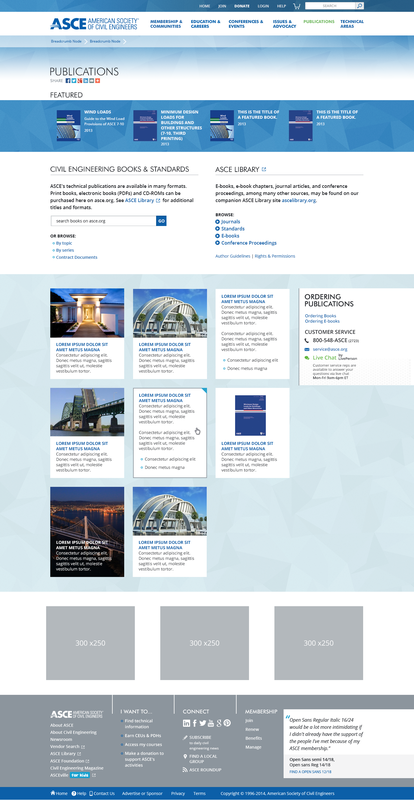 Visual design work completed under contract to Design for Context (designs shown here may not reflect implemented or current user experience). TriLion was brought on as a visual design partner for user interface design and layout for the core site (asce.org), the foundation site (ascefoundation.org) and template design for future conferences.